After a motor vehicle accident, victims are left with any number of injuries that span from head-to-toe. Strains, sprains, broken bones, bumps and bruises, dislocations, and whiplash injuries can all cause a victim widespread chronic pain. However, one of the most serious injuries sustained in a road-related accident is any impact to the head and neck area. Spinal Cord Injury and Traumatic Brain Injury can heavily impact the victim’s ability to live a full, independent life. When a car accident victim sustains an injury to the neck or cervical spine, they’re placed at-risk for serious complications such as numbness, migraine, chronic pain, and in the worst case scenarios they can suffer partial or total paralysis in any number of areas on the body. Sustaining these physical injuries, as well as suffering the financial devastation of lost wages, can cause a victim to experience mental anguish further reducing their already limited quality of life. From a Personal Injury perspective, a client who sustains a neck or Spinal Cord Injury needs to be represented by legal counsel that has experience with similar cases. There are many firms that will attempt to take a Spinal Cord Injury claim, only to leave the client high and dry when it comes times to face the judge and jury. That’s not only a deceitful business practice, it hurts the victim, prolonging the legal process and causing them to suffer financially in addition to their physical and emotional pain. With the proper Board Certified legal counsel representing a Spinal Cord Injury victim, they’re given the best chance at obtaining the damages they deserve for their pain and suffering. We’ve consistently made note of the fact that it’s not always about the compensation, but about the justice the client rightfully deserves. This point is exceptionally true when it comes to Spinal Cord Injury victims who may have lost their ability to live a full life due to partial or total paralysis. Neck Injuries After Motor Vehicle Accidents: The Personal Injury Perspective will focus on the types, complications, and symptoms of neck and spine injuries a victim can sustain after a catastrophic car accident, as well as how a Board Certified lawyer will proceed with a case in order to recover compensation on behalf of the client either during trial or mediation, depending on the specific details of the case. Whiplash injuries: this type of injury can occur after an accident that causes the head and neck area to move-or “whip”-around violent. This injury is considered by medical professionals to be the most common type of neck injury, specifically after a motor vehicle accident in which the victim is rear-ended, causing them to jerk forward in a violent back-and-forth motion. Strain, repetitive motion: it’s important to maintain proper posture, especially in the event of a neck or cervical spine injury. Lack of posturing the body correctly (either due to working at the computer, sleep difficulty, or lack of exercise) can cause painful muscle strain. Sprain injuries: certain types of injuries (sports-related, motor vehicle accident-related) can cause sprains in the muscles of the neck. These injuries are further aggravated by over exertion or too much activity during the healing process. Doctors recommend anti-inflammatory medications (NSAIDs) and reducing physical activity to allow a sprain to heal properly. Pinched nerve injuries: a “pinched” nerve in the neck can cause severe burning, sharp, or shooting pain down the victim’s back and into the arms. When treated effectively, these injuries tend to heal on their own fairly quickly. Disk injuries: these injuries frequently occur in work-related accidents that require the employee to lift heavy objects repeatedly. Heavy lifting on a regular basis can cause the nerves in the neck to become irritated and for these “jelly-like” cushions to slip out of place. Disk injuries with no known cause are usually attributed to the normal aging process. Cerebral fracture: the most severe motor vehicle accidents, falls, or blows to the head and neck can cause the vertebrae in the neck to fracture or break. This injury is considered to be a medical emergency and requires immediate transport to the emergency room by ambulance, where a patient can receive the proper medical attention right away. Spinal fractures can cause serious damage to the spinal cord, resulting in the victim being unable to breathe on their own. Cerebral fractures can lead to paralysis and can be fatal if not treated immediately. Spinal cord damage: this is the most severe injury sustained in the aforementioned accidents. When the spinal cord is damaged, there is only a limited window of time in which medical professionals can save the victim’s life. These injuries usually result in paralysis to some extent, leaving the victim unable to walk, and wheelchair bound. Recent advancements in Spinal Cord Injury have given hope to many victims who believed they would be confined to a wheelchair for the rest of their lives. Within the specialty of practicing Personal Injury, lawyers are highly familiar with car accident victims and the injuries they present with from the first consultation. It goes without saying, though, that not every Personal Injury lawyer is created equally or has the same amount of experience in every area of this specialty. The lawyer must be able to act aggressively when it comes to taking on the insurance company who may have lead the victim to believe they’re only entitled to a paltry sum for their serious injury. It’s important to remember that aggressive in the field of practicing law does not always mean “go to trial”. If necessary, an experienced lawyer won’t hesitate to take a case to court; however, the best lawyers are skilled in Alternative Dispute Resolution and will always opt for whichever method of ADR poses the best outcome for the client. When it comes to neck and spine injuries, the insurance company should never be allowed to play “schoolyard bully” with the victim, and that’s why the lawyer is there. A Personal Injury lawyer with prior experience seeing cases to verdict at trial knows these bullying tactics to happen to nearly every client, and will protect them from being offered less than they deserve. A lawyer’s prior successes are invaluable to every future case. This experience is necessary to recover the maximum amount of financial compensation for the clients they represent. What does a Personal Injury lawyer need to have on hand in order to present a case with a successful outcome? Complete records: hospital records, doctor’s notes, and medical bills that can clearly show the extent of the victim’s financial injury due to lost wages and medical expenses not covered by insurance. Documentation: accident reports, police reports, and insurance claims filed by or on behalf of the victim. Expert testimony: hearing from an expert in the courtroom can back the victim’s own testimony that they’re suffering from severe, intractable pain after their accident. Witness testimony: those who know the victim best and those who may have witnessed the accident are both necessary to provide the whole picture for the court, if necessary. Accident Reconstruction: a lawyer who lacks experience may not consider this, and it can hurt the victim! 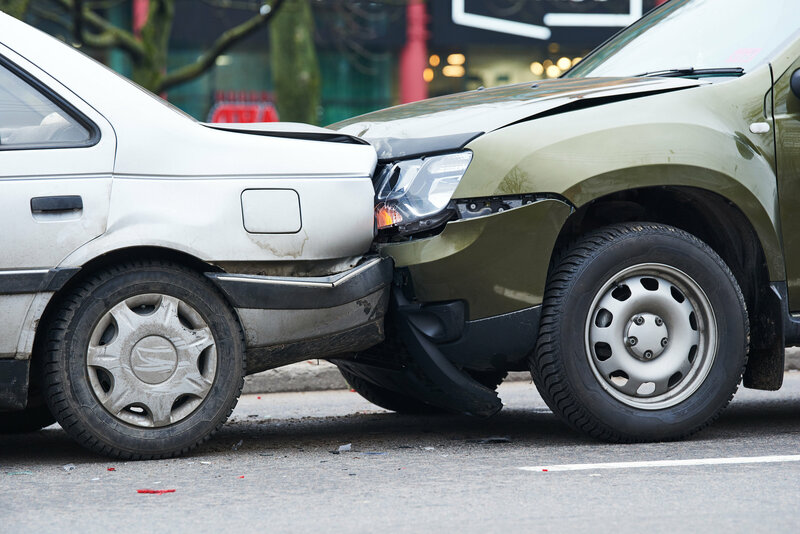 Accident Reconstruction can provide the closest thing to allowing the jury to actually witness the accident in real-time, providing them with insight they may not have otherwise had to be able to rule heavily in favor of the plaintiff. Our writeups provide lawyer-backed, in-depth but general information on the area of Personal Injury law. Always consult with a Board Certified lawyer when it comes to the specifics of a Personal Injury claim in which a victim may be entitled to compensation!